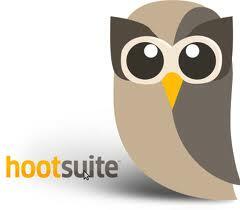 Hootsuite is a great tool for you to manage your social media activities. If you still find it too taxing, you can consider your idea of hiring an intern. Although, I suggest that you do not allow him or her direct access as to posting on his or her own. He or she should just shortlist whatever relevant content is out there that you should comment on, discuss, etc. Then, you should still sift through what is given to you and post on your own. I don’t know if you will be able to find an intern that would be on the same page as you do, in terms of your goals in social media marketing.